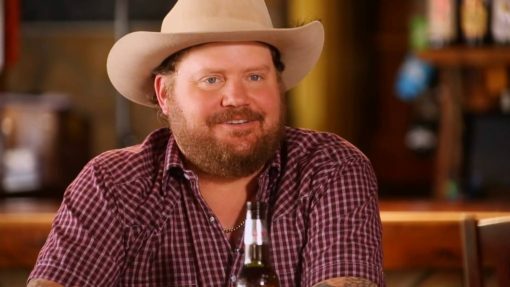 Although we all know it’s coming, details have been scarce concerning the new Randy Rogers Band record. It’s been two and a half years since Nothing Shines Like Neon debuted, which is a big chunk of time for a band that historically puts out a record about every 18 months. The band has been enthusiastic but pretty tight-lipped. We got to catch up with Randy at the inaugural Whataburger Texas Summer Jam to chat and perhaps get a few more details. What can you tell us about the new Dave Cobb-produced album that you are about to putout? We’ve cut 10 songs and we’ve been living with them for a while. I feel like this is an important record for us; it was my 40th birthday this week and I’m not getting any younger. The way that people are getting and listening to music is changing so fast, even since the last album. By the time this one comes out it will have been three years. We’re independent artists now, which hasn’t always been the case, so we’ve got a lot of freedom and options on this one. How did you like working with Dave Cobb? We enjoyed working in the studio with Cobb so much we want to go back. It’s Studio A, a historical place with a great vibe, and was just a great opportunity. He grew up with the same kind of music we listened to as kids – Red Hot Chili Peppers, Pearl Jam, etc. and he’s a rock star. He has a presence and he can get out of the artist who they truly are, you can really see that with Stapleton. He demands your best, plus he’s a great decision maker. We’d be sitting around his couch throwing stuff around, trying to come up with an intro or something and he’d hear an idea and snap, he’d say “I like that one, let’s do it.” It’s so nice to have someone like that when you’re a person who has trouble deciding what to have for lunch <laughs>. What’s left to do on the record? We are going back to Studio A in September during the week of AMERICANAFEST and probably cut three or four more. We’re hoping to have about 14 total. When can we expect the first single? In the fall, so… soon. Then the record in the spring. Did you write all of the songs or did some of the other guys get some in on this one? I wrote 8 of the 10 we’ve cut so far. Of course, we also cut a Radney Foster tune. I’ve been writing a lot, and the other guys have been doing the same. We are on this search for this “magic thing” and although I think we’ve already cut some magic, we are still looking for that magic song that will live forever. We’ve heard this is a traditional country record but also that it’s thick in Tom Petty influence. Do you agree? Tom Petty passed the week we were in the studio so we were thinking about and listening to him a lot. So yeah we have some Petty-isms in there. There’s also this great waltz called “We Never Made It To Mexico” that’s a real heartbreak song. There’s the traditional Randy Rogers Band angst between the girl and the guy who break up and get back together. Making records is never easy, especially when you have 60 or 70 songs floating around in your head. I hope our fans understand the reason we are taking our time is that we want it to be perfect. What is the saddest song you’ve every written? It’s a song no one will ever hear except for one person. What’s your most underrated song? Fans love to hear the old jams, we know that. We started playing “Lonely Too Long ” again at shows, which was never a single, but I would look out in the crowd and everyone was singing it back to us. I’m thinking “How in the hell did we miss this B-side single?” We’ve also been playing “Just a Matter of Time” lately and people like it. <Laughs> I can’t answer that, I like all my songs. Maybe “Fuzzy”, but it’s a great party song. I just feel like a schmuck when I’m singing it with my parents in the crowd. How do you think things are going in this scene? It’s nice to see the resurgence over the last two or three years with folks like Koe Wetzel and Parker McCollum coming up. Kids are coming to shows and are interested in original music. It seems to cycle over 5 or 6 years and things seem to be exploding right now. You are at a stage in your career where some of these younger artists coming up that site you as an influence, How does that feel when they come up and tell you they’ve been listening since they were in 5th grade? You know, yesterday was the 14th anniversary of Rollercoaster and I remember every single moment about making that record. Parker [McCollum] told me he had “Live at Chetham Street” when he was 11. But I’m not ready for any transition into one of the “elders”, my heroes like Robert Earl Keen and Jerry Jeff [Walker] are still going. I’m in my prime even though we’ve been doing this for 18 years. With the management company, I’ve really enjoyed working with both Red [Shahan] and Parker [McCollum] and it brings me great joy to see them succeed. You along with guys like Cody Canada and Wade Bowen have been branching out on various business endeavors. You are in the management game now and you also opened a restaurant here in Roanoke. Is this about giving you other options since you can’t play 200 shows a year? We’ve done that, plus I bought Cheatham Street Warehouse, which we will be doing some things there soon. I’ve learned a lot about messing with a building that was built in 1908. My wife owns three boutique stores and is doing really great there. I’m also a silent owner in the Cleburne Railroaders, where I’m not making any decisions. I’ve always been an entrepreneur and try to swing for the fences. I’m looking to the next 20 years and by no means want to get off the road and stop playing music, but I just have other passions.